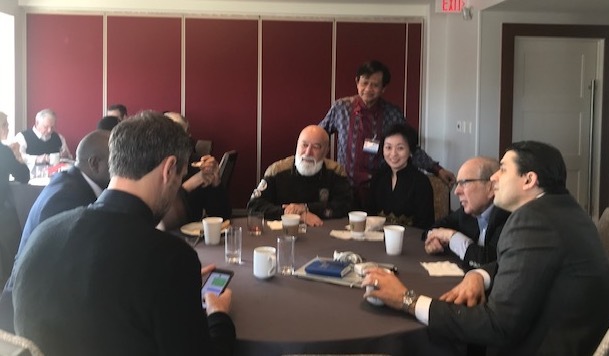 Early spring, Dr. Jack Dillenberg participated as a presenter at the global Senior Dental Leader (SDL) program hosted by Harvard in Boston. 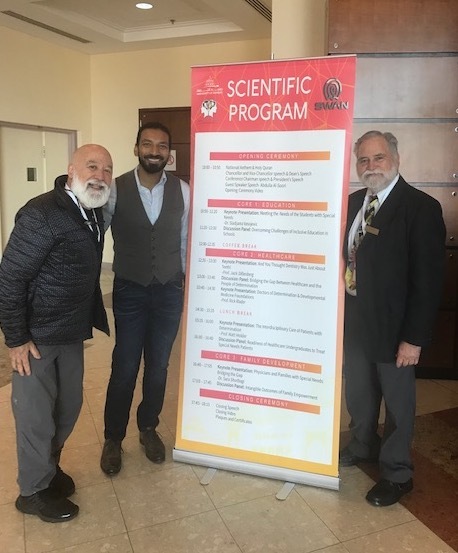 He also was the recipient of the AAPHD 2019 Distinguished Service Award. The SDL program is an educational program Harvard University and Kings College in London host for selected dental leaders. The program leader is Dr. Raman Bedi, former Chief Dental Officer for the United Kingdom. The program is sponsored by the Henry Schein Company and Colgate and is in its fourteenth year. 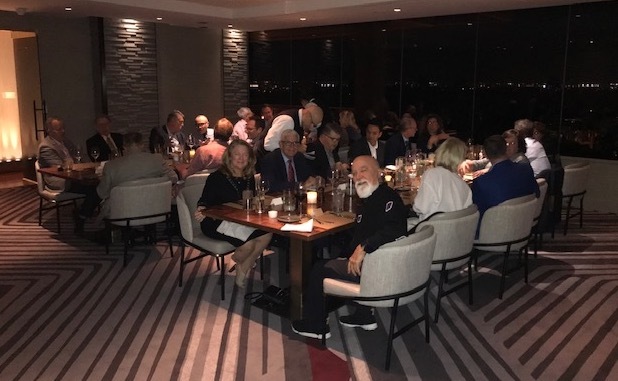 Dr. Jack with SDL participants and leaders at the Henry Schein sponsored dinner. Dr. Jack participates in an SDL work group discussion with program participants. 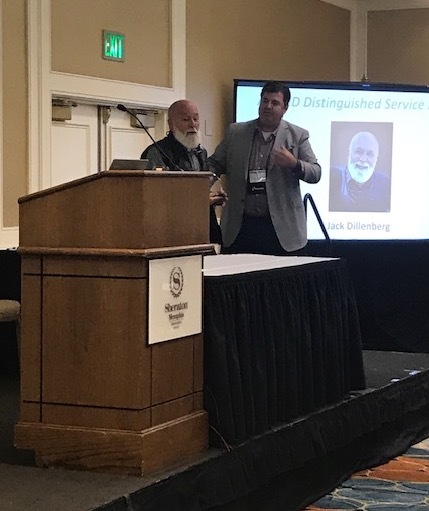 Dr. Jack Dillenberg was one of the participants selected as a “student” in the SDL’s second year and has taught in the program a number of times over the last decade. Dr. Jack observed this year’s participants to be extraordinary, and they represented both large and small countries. The program kicked off with a wonderful dinner hosted by Henry Schein. 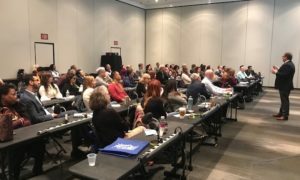 which brought together many corporate, organized dentistry, and academic leaders to listen to Dr. Hugh Silk, MD discuss the emerging integration of oral health into primary care. 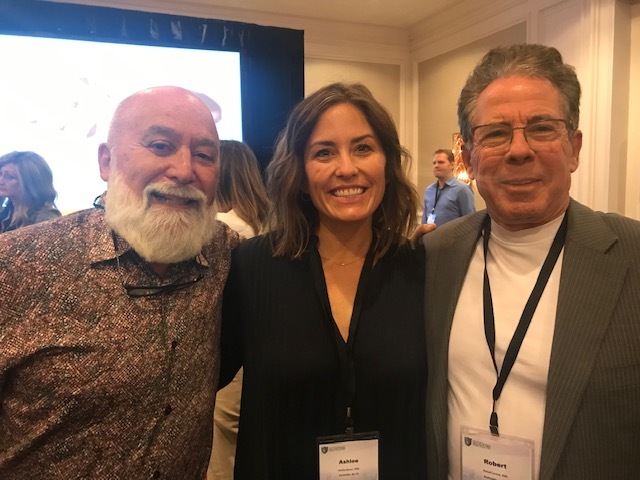 Dr. Jack, Dr. Bob Levine and ASDOH graduate Dr. Ashlee Berger at the American Laser Club Symposium. 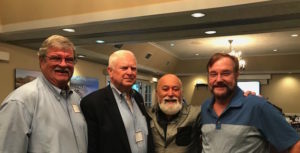 Two days after Dr. Jack’s return he was a keynote speaker at the American Laser Study Club Symposium being held in Phoenix. This gave him an opportunity to learn more about the wide use of lasers to positively impact dental treatment. He also had a chance to visit with some ASDOH graduates which is always a treat. 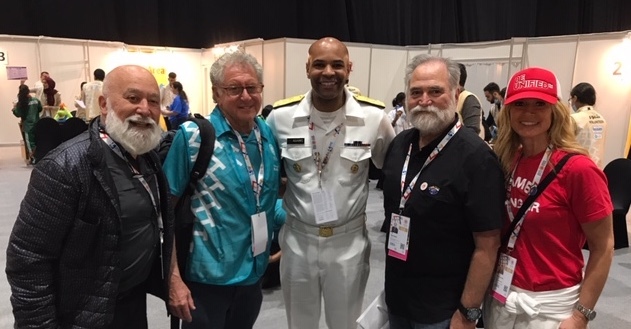 Dr. Jack with old friends, Drs. Caswell Evans, Steve Corbin and Neal Demby at the AAPHD meeting in Memphis. 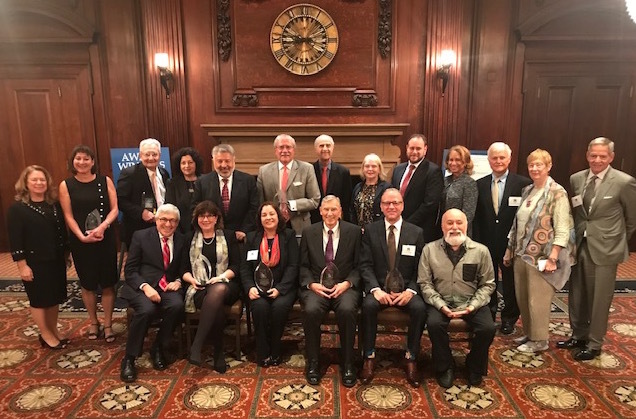 Dr. Jack receiving the 2019 Distinguished Service Award from the American Association for Public Health Dentistry at their annual meeting. 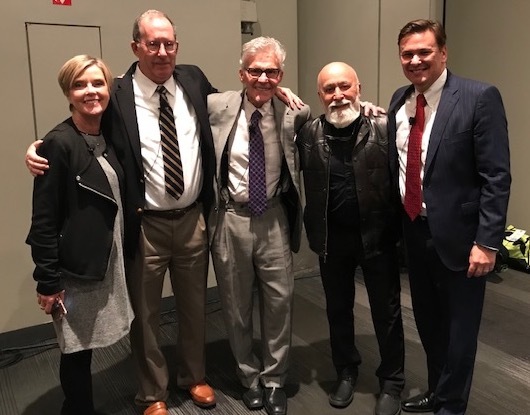 The following weekend Dr. Jack Dillenberg flew to Memphis to receive the American Association for Public Health Dentistry 2019 Distinguished Service Award at their annual meeting. This was another humbling moment and gave him an opportunity to visit with many truly exceptional dental leaders and students. Ken Snyder, Jerry Wissink and Kris Volcheck share a moment with Dr.Jack at the Brighterway Institute breakfast. February began with a number of “new” projects emerging. 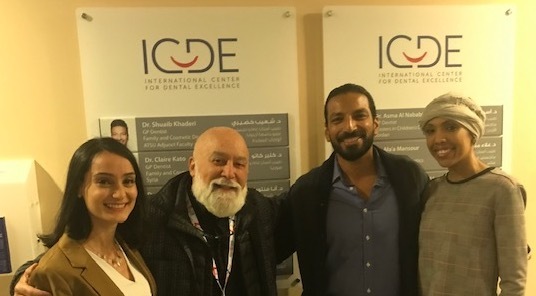 Specifically, the reconfiguration of the Alliance for Oral Health Across Borders from its original focus on dental students and dentists working together in Israel and Palestine. 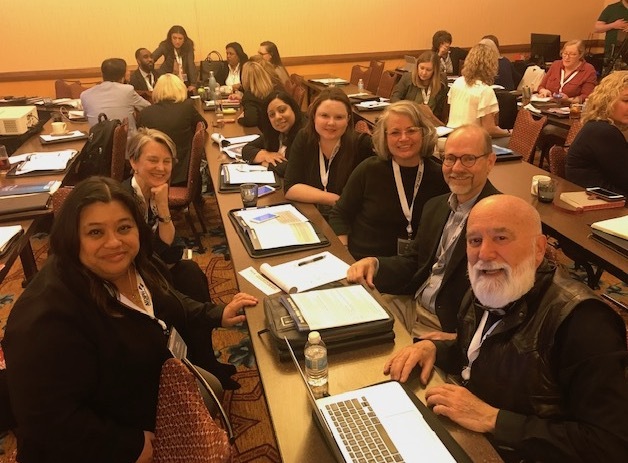 The Alliance is now looking at focusing on improving oral health access for those with special health care needs by mentoring, coaching and support potential dental leaders globally. More to come in the next few months. Dr. Jack’s dear friend Dr. Carl Hammerschlag delivers the invocation at the Brighterway Institute breakfast. Dr. Jack Dillenberg also facilitated the First Annual Brighter Way Institute fundraising breakfast. 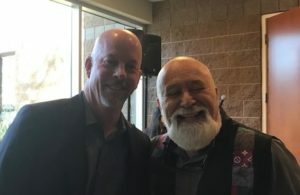 Over two hundred community minded health professionals, foundation leaders and Brighter Way team members participated in the very successful event. 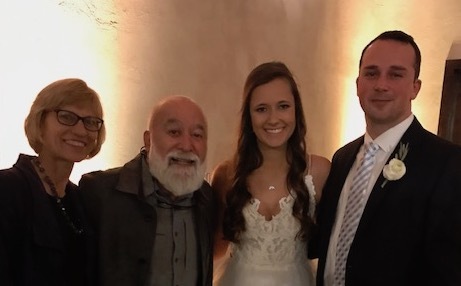 Jack and Jamie travel to Austin, TX for the wedding of Jack’s great nephew Dean and Meghan. A few days after the Breakfast event Dr. Jack and Jamie flew to Austin, Texas to join the Dillenberg and Riegel family members and friends at the wedding of Dr. Jack’s “great nephew” – the original Dean Dillenberg. It was a wonderful, memorable ceremony and celebration in the hill country of Texas. 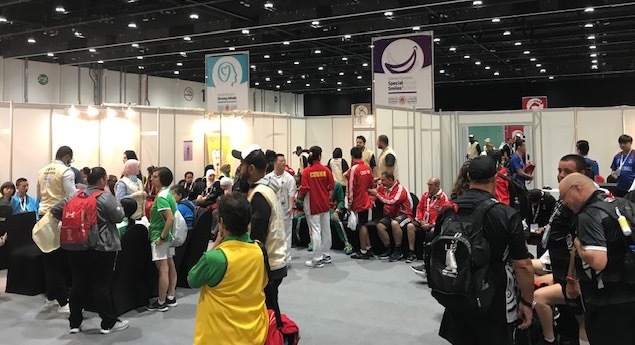 The next blog will address Dr. Jack’s upcoming trip to Abu Dhabi as an Honored Guest to speak at the World Special Olympic Games and Health Summit being held there in March. He will also be reporting on his participation in the Senior Dental Leaders training at Harvard. The year began with Dr. Jack Dillenberg focusing on Jerome business. He participated in both Town Council and Chamber of Commerce meetings. Issues ranged from purchasing a new fire truck to addressing town infrastructure needs related to water and sewage. Tim Riester and his son Finn, who shares his birthday with Dr.Jack. Tim is an extraordinary marketing expert. 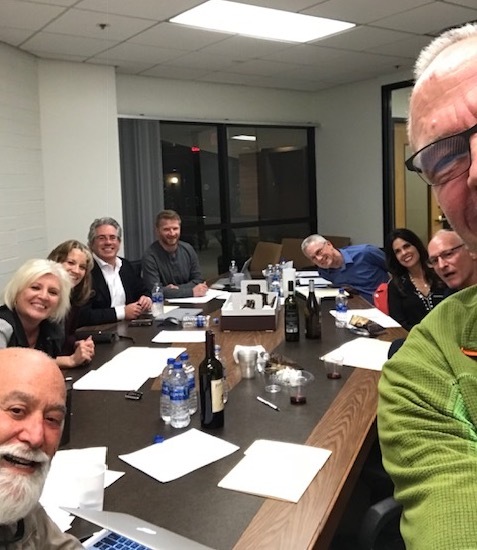 Dr. Jack chaired the Brighterway Institute Board meeting. 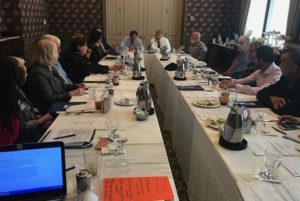 The board meeting focused on strategic direction changes which included the development of a dental implant training center and expanding its relationship with the Boys and Girls Club. 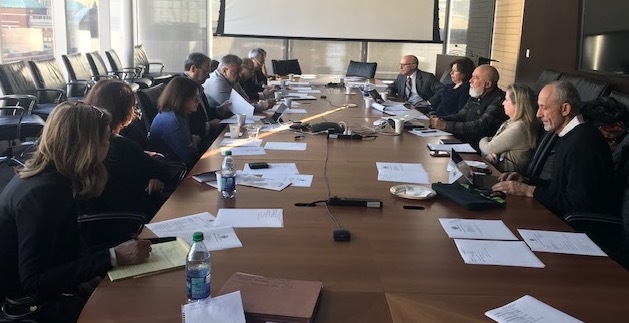 The Board also discussed the upcoming initial fund-raising breakfast to help sustain the Institute in its efforts to provide oral health care to the underserved. 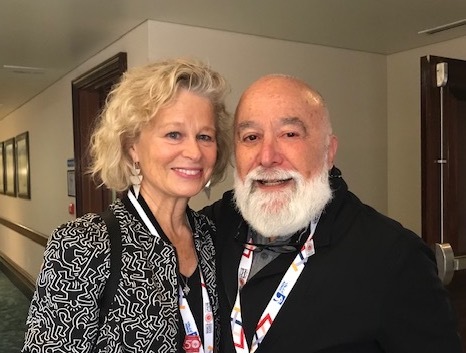 After his trip to Phoenix, Dr. Jack Dillenberg attended the American Institute of Dental Public Health Dentistry (AIDPH) Colloquium in San Antonio, Texas. The meeting focused on interprofessional practice and value-based care. 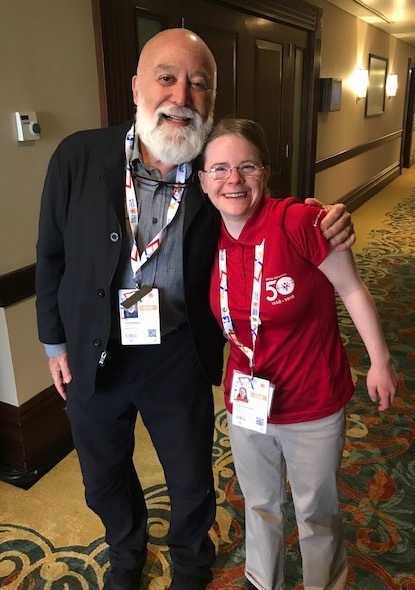 The meeting provided a wonderful opportunity for Dr. Jack to reconnect with many colleagues and friends in the public health sector. 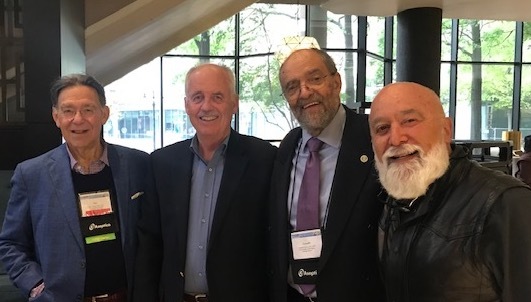 Dr. Jack joins long time friend Dr. Caswell Evans and other colleagues at the AIDPH Colloquium. 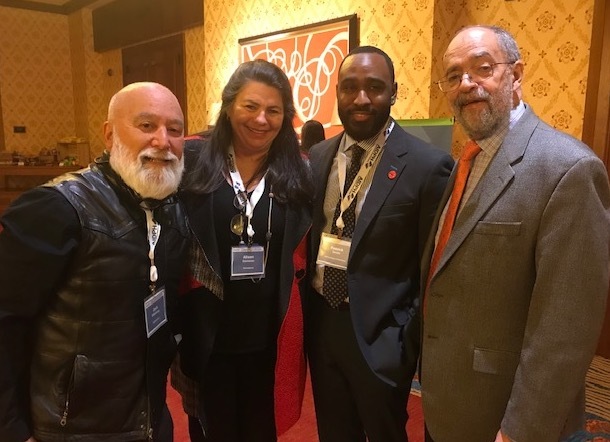 Dr. Jack with ASDOH Dean Bob Trombly participating with colleagues at the AIDPH Colloquium. 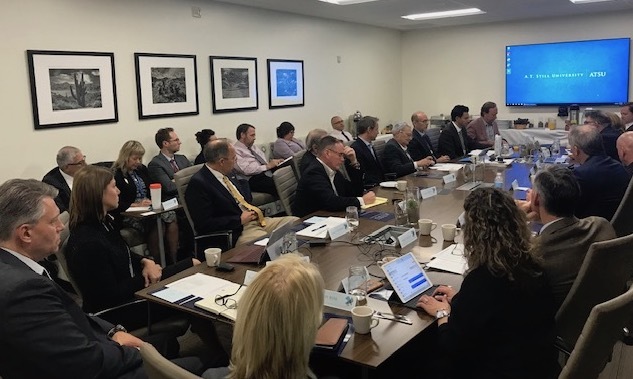 Dr. Jack chairs the Brighterway Institute Board meeting in Phoenix. 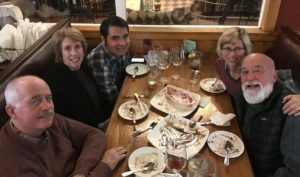 December was a busy and festive month for Dr. Jack Dillenberg. 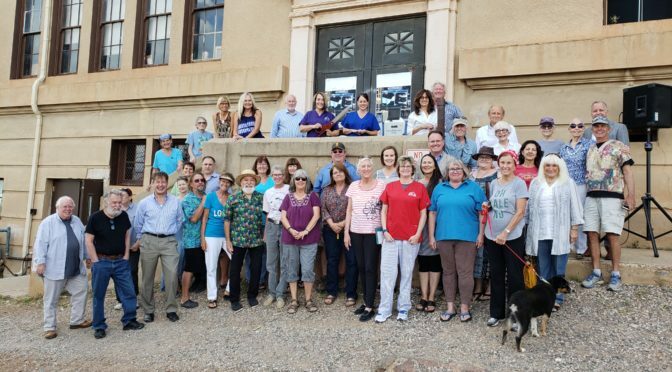 It included a visit to Phoenix where he attended a newly elected public officials training, a requirement for his new Jerome Town Council position. He also chaired the Brighterway Institute Board meeting. 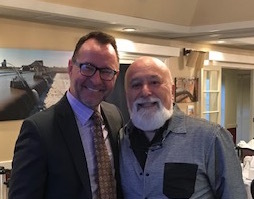 Kevin Mosher, CEO and Gino DeSimone, Exec V.P. from Clear Choice, visit Dr. Jack at the Dillenberg Center at ASDOH. Clear Choice CEO, Kevin Mosher, visited the Dillenberg Center at ASDOH to explore potential opportunities for collaboration. His executive Vice President, Gino DeSimone, sits on the ASDOH Dean’s Advisory Board. 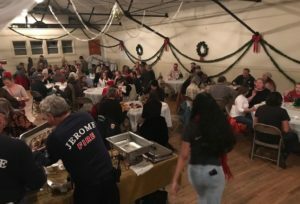 The Town of Jerome celebrates the holidays at the Town Christmas Dinner. Dr. Jack Dillenberg celebrated the holiday season by attending the annual Jerome Town Christmas dinner and the Christmas concert held at Mingus High School. The year ends in a festive mood at the Christmas Concert at Mingus High School in Cottonwood, AZ. He also hosted Dr. Steve Corbin, long time friend and colleague, along with his family in Jerome. Dr. Corbin served as the Chief dental officer for the U.S. and as Chief of staff for the Surgeon General. He also founded the Healthy Athlete program for Special Olympics and served as its director for 15 years. Jack and Jamie welcome Dr. Steve Corbin and family to Jerome. 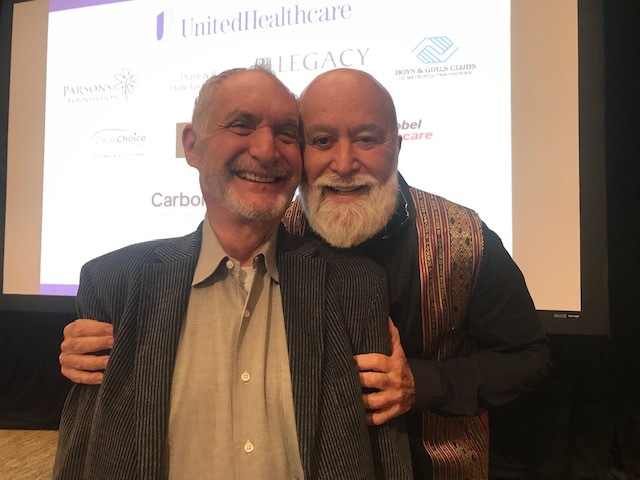 Steve and Jack have been friends for over thirty years and shared many public health stories. Dr. Jack welcomes Panelists, Drs. 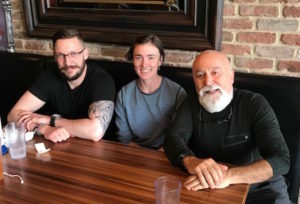 Bill Riley, Mark Doughty, Conrado Barzarga and Nurse Practitioner Erin Hartnett at the Public Health Symposium. Dr. Jack Dillenberg traveled to New York City to moderate the first Public Health Symposium at the Greater New York Dental Meeting (GNYDM). The symposium consisted of four panels over a two-day period and brought together national leaders on emerging issues. Attendees listen to Dr. David Gesko’s inspirational presentation at the Public Health Symposium. Dr. Steve Perlman moderates the Panel on Special Needs at the First Public Health Symposium at the GNYDM. 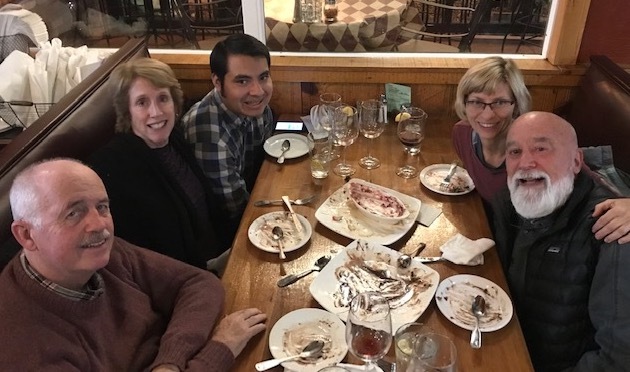 During the meeting, Dr. Jack Dillenberg had an opportunity to meet with many friends and colleagues. Attendees shared their positive feedback, and it is anticipated it will be part of next year’s GNYDM as well. 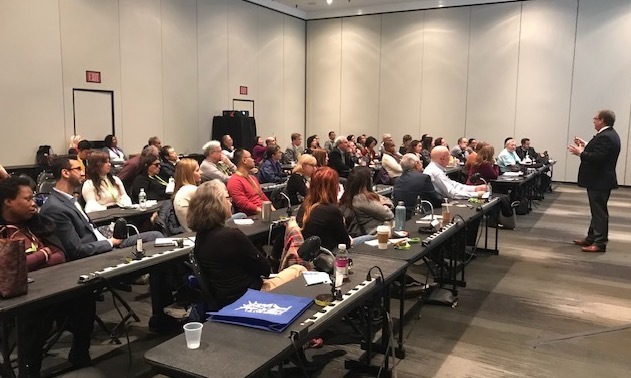 The GNYDM is the largest dental meeting in the US with over 51,000 registered including attendees from all 50 US states and 100 countries. Dr. Jack joins dear friends and panelists, Drs. 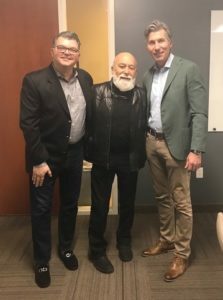 Allen Finkelstein, David Gesko, and Mike Alfano. The Alliance for Oral Health Across Borders held its annual meeting at the NYUCD. The meeting focused on developing the new organizational structure and vision. This global alliance plans to increase its presence in developing emerging leaders globally to create and manage innovative programs serving the underserved, such as individuals with special needs, throughout the world. 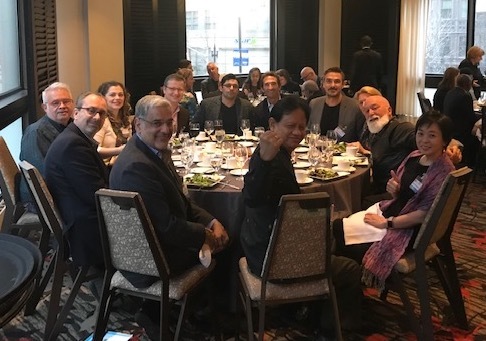 Dr. Jack participates in the Alliance for Oral Health Across Borders Annual meeting at NYUCD. 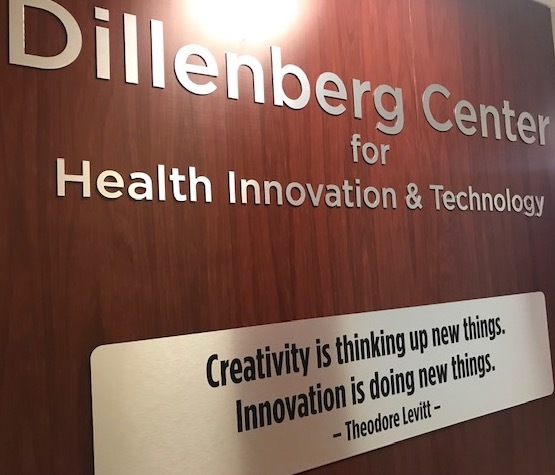 Here is the entrance to the new Dillenberg Center and PDS Innovation Clinic. The new Dillenberg Center for Health Innovation and Technology, which houses the PDS Innovation Clinic, officially opened on November 6. The Center provides state-of-the-art digital dental equipment along with Cerac milling stations. Steve Thorne, Founder and CEO of Pacific Dental Services and major Center donor, joins Dr. Jack at the Ribbon Cutting for the new Dillenberg Center for Health Innovation and Technology. Private donations provided the funds for this 11-chair clinic and equipment, center design and construction. The Center also includes a research area, conference room, wet labs and office space. The PDS Innovative Clinic supports interprofessional care and research. The ASDOH Advisory Board meets in the Cottrell Family Conference room in the Dillenberg Center. Gerard Moufflet the ASDOH Board Chair led the discussion and advisory session during a in-depth, comprehensive, one-day meeting. The Board members continued their active engagement and commitment to improving the quality of the ASDOH model. Dr. Jack joins the ASDOH Advisory Board and ATSU administrators for dinner. Brighterway Institute Board interviewing potential board members. The busy week in Phoenix began with Dr. Jack chairing a Brighterway Institute board meeting. The board interviewed three outstanding candidates to join the board in helping to meet the oral health needs of at-risk underserved Phoenix residents. 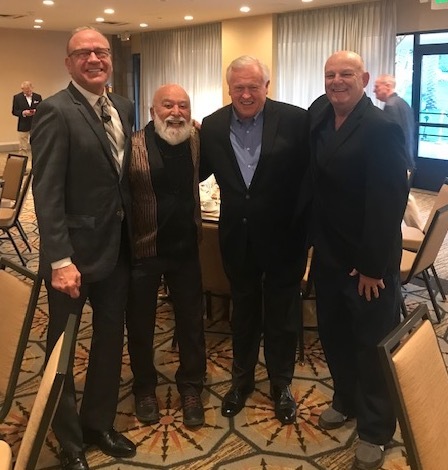 Dr. Jack visits with old friends David Tierney, Rick DeGraw and Michael O’Neil at the Board Developer Foundation Breakfast. Early the next morning he attended the Board Developer Foundation Breakfast. The Foundation helps not-for-profit boards to succeed in achieving their mission through effective board management. Jim Hayden Board Developer Foundation founder welcomes Dr. Jack to their Board Developer Foundation Breakfast. 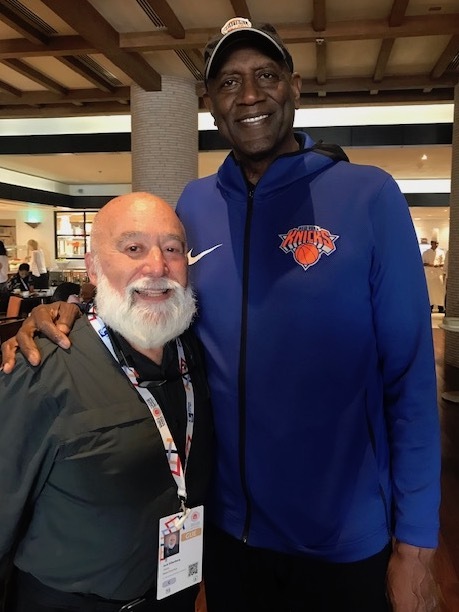 The breakfast gave Jack the opportunity to reconnect with old friends and other successful executives. 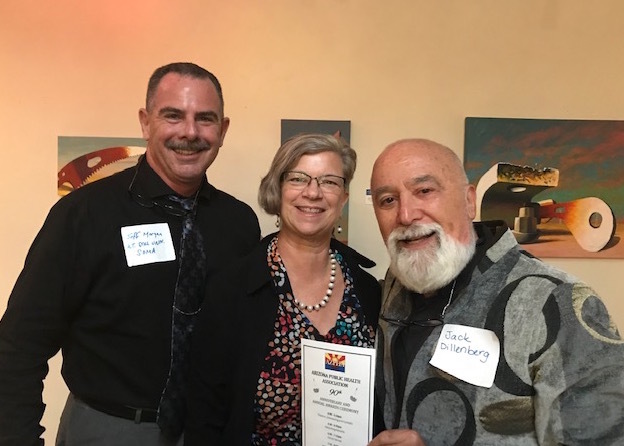 A presentation described the Phoenix Community ToolBank which lends tools to nonprofit organizations who improve their communities by building such things as playgrounds and community gardens. Joan Lessner and Ginger Nelson welcome longtime friend and client Dr. Jack to the Alliance Bank annual Octoberfest event. 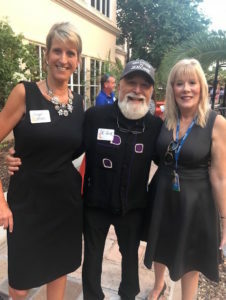 The following evening, Dr. Jack Dillenberg attended the Octoberfest event sponsored by the Alliance Bank. 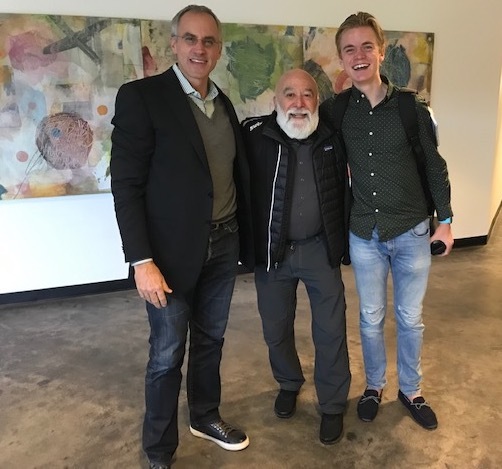 After numerous phone calls and emails, he finally met Harold Schifman, an internationally known CEO and artist. Dr. Jack ended his week by being the keynote speaker at the Annual Invaluable Medical and Dental Assistant Seminar. 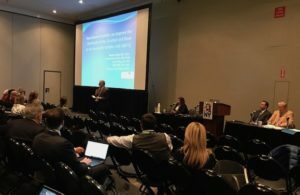 This conference provided an opportunity for him to discuss the integration of oral health into primary care. NAU 4th year nursing students Madison and Josh, visit Dr. Jack in Jerome to discuss public health issues facing Jerome citizens. 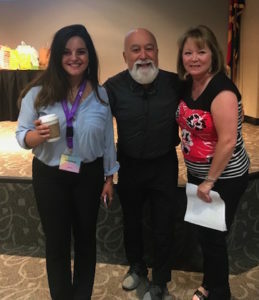 Dr. Jack is with conference organizers, Aya and Shelli. 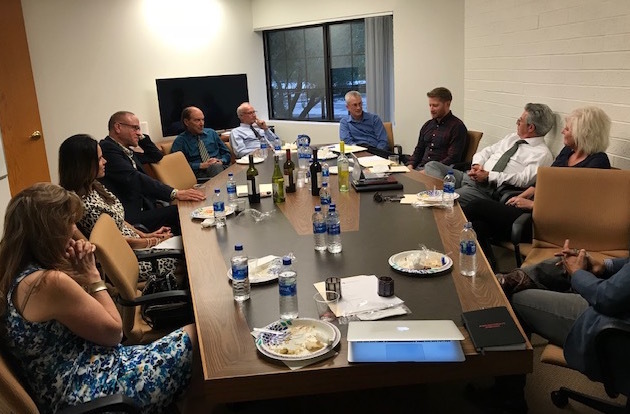 Early October took Dr. Jack Dillenberg first to Phoenix where he attended the AzPHA 90th Anniversary Celebration where he reconnected with many former colleagues from his years of work at the Arizona Department of Health Services. 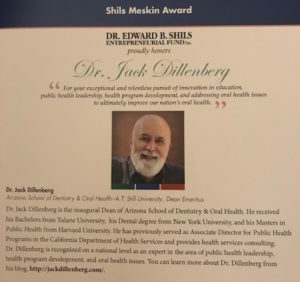 Dr. Jack was surprised to be the recipient of the highest award given by the Shils Fund. The next morning, he flew to Philadelphia for the Annual Edward Shils Entrepreneurial Fund Board meeting and innovation conference. 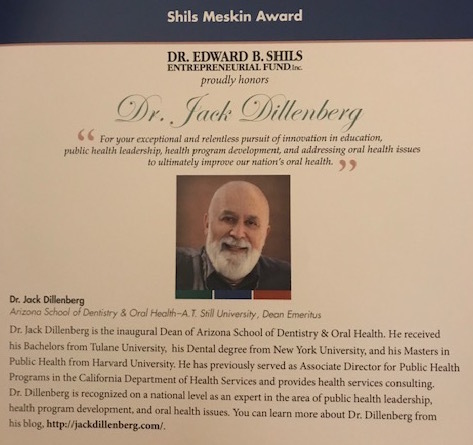 He was surprised to be awarded the Shils-Meskin Award, the Fund’s highest honor, for his life-time of innovative contributions to public health and dental education. His colleague, Dr. Kris Volcheck, was the recipient of their Innovator Award for his work with the Brighterway Institute. Dr. Jack attends his final Shils entrepreneurial board meeting in Philadelphia. Dr. Jack is welcomed by old friends Drs. 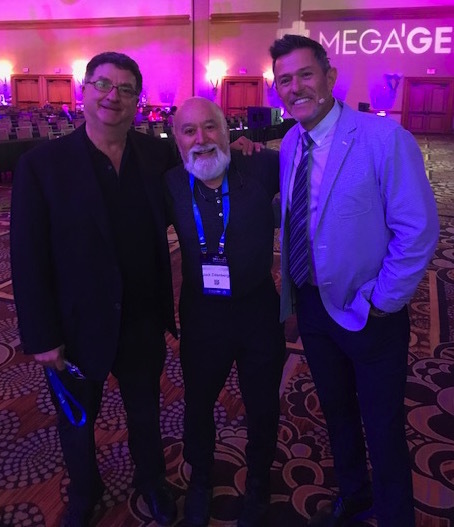 Dennis Tarnow and Maurice Salama to the Mega’Gen Symposium. A few days later Drs. Dillenberg and Volcheck attended the 14th Annual Mega’Gen International Symposium to promote their collaboration with the Brighterway Institute in Phoenix. While there, they learned about the state-of-the-art technology in dental implants. 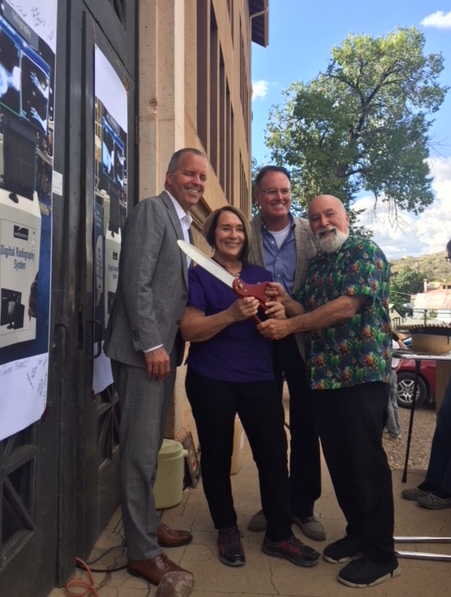 Dr. Jack joins veterinarian Virginia Kennaway and Eric Shirley from Mid Mark and Kevin Upchurch from Henry Schein at the ribbon cutting ceremony for the new x-ray machine at the Jerome Humane Society. Jerome’s Humane Society clinic, which cares for all types of animals benefitted from two major dental industry companies. Specifically, Mid Mark Company gifted the majority of the cost of a state-of-the-art digital veterinary x-ray machine to the clinic. Eric Shirley, a senior MidMark came to Jerome from Dayton, Ohio to participate in the Ribbon Cutting in which the town and local Humane Society community, came together to celebrate this acquisition. Additionally, Henry Schein Cares donated to the clinic much needed veterinary supplies. Kevin Upchurch, the Western Regional manager for Henry Schein, also participated in the Ribbon Cutting event. Dr. Kris Volcheck welcomes the first Jerome dental van patients joined by Dr. Jack. 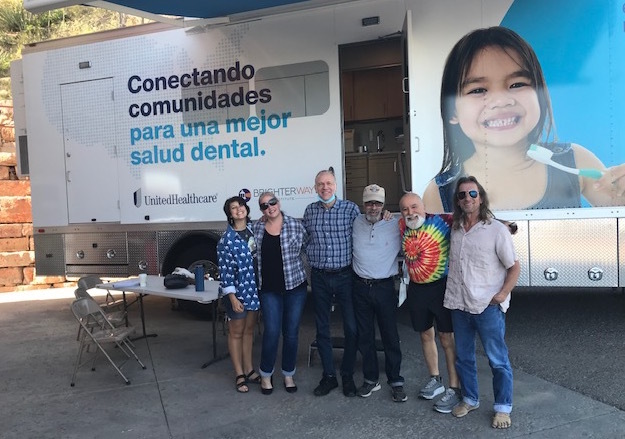 The Town of Jerome experienced the first ever dental van providing free services for community members. The Brighter Way Institute, headed by Dr. Kris Volcheck, has agreed to provide periodic dental visits to help alleviate the critical oral health issues faced by many Jerome residents.